We designed documentation and tutorials (see "How It Works" page) that can provide a blueprint for universities and large organizations to set up similar sites to tackle food waste. Further, through our work, we are educating the public on the food waste epidemic and creating food recovery ambassadors who will carry on the mission of feeding people in need, reducing CO2 emissions by diverting food waste from landfills and compost, and reducing the billions of dollars lost on food waste each year, all while building a network that prompts communal action. The UW comprises more than 46,000 students and 26,000 staff and faculty; many of them are served by a number of large campus dining halls. 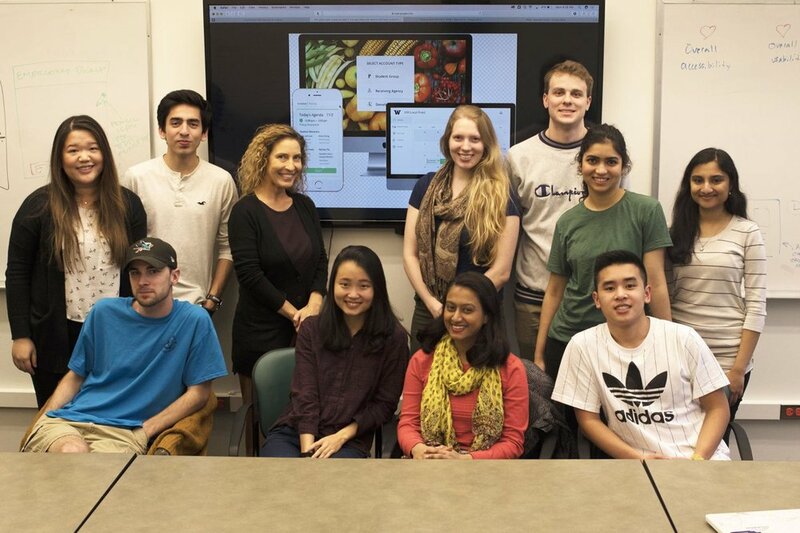 The idea for Meal Matchup arose from undergraduate student Madison Holbrook’s pitch for a food recovery website in Irini Spyridakis’ Advanced Sustainable Communication class in the Department of Human-Centered Design and Engineering (HCDE) at the UW. Spyridakis and Holbrook, who both share a background and interest in food security and resource constrained environments, co-wrote a proposal where they successfully acquired funding from the UW Campus Sustainability Fund that funds sustainability projects at the UW. After receiving funding, they gathered 33 students from HCDE, the Paul G. Allen School of Computer Science and Engineering, and the Information School over 9 months to work as part of a Directed Research Group, beginning in Autumn 2017. 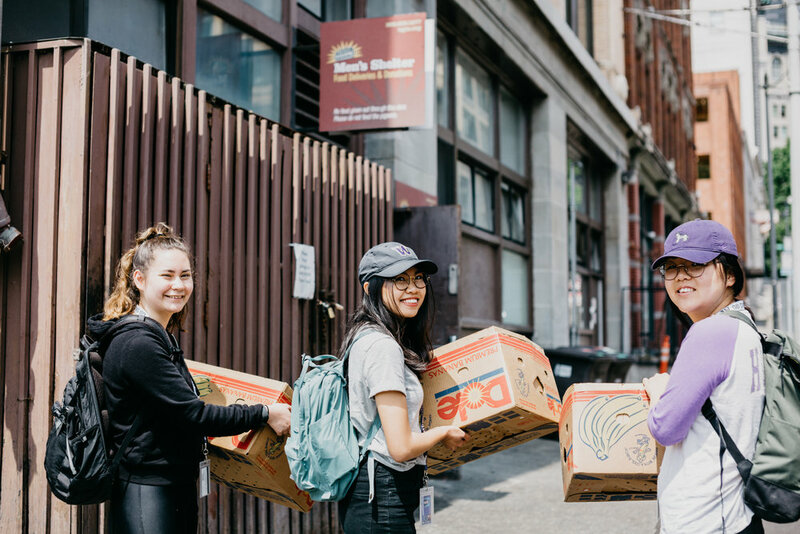 They conducted further research on the topic, designed and built the website, and assisted with the Meal Matchup pilot in May 2018 along with support and food delivery work from service learning students in the College of the Environment. Irini Spyridakis, HCDE faculty, continues to help grow and manage the project as Madison Holbrook graduated in June 2018. Please see below for team member names, UW liaisons, our academic and industry advisory board, acknowledgments, press, and awards. We would like to thank the UW Campus Sustainability Fund (CSF) for its generous financial support and also for its guidance throughout this project. Additionally, we are thankful and honored to be voted the top CSF project of 2018 by the College of the Environment at the UW, leading to their annual class gift of $5,000 for future CSF projects. We would also like to thank the multitude of students who worked on this project this year as researchers, designers, developers, and service learning student deliverers; without their tireless efforts, this project would not have succeeded. Additionally, we would like to thank all the shelters and food banks that kindly offered us their time, educating us in the process. Finally, we would like to thank the UW Housing and Food Services administrative and dining facilities’ staff for their support and contributions. 1. The Daily at the University of Washington, "Student research group designs website to salvage campus food waste" by Gabriela Tedeschi, The UW Daily, Feb 9, 2018. 2. 2018 Designing Up, "Building connections" by Leah Pistorius. June 2018. 4. Meal Matchup article is also archived on the HCDE website, Campus Sustainability Fund, UW Sustainability, and UW Undergraduate Academic Affairs’ pages. Voted top Campus Sustainability Fund (CSF) project by the University of Washington’s College of Environment: annual class gift of 2018 will be contributing a total of $5,000 to the CSF's general projects’ budget to fund additional projects.